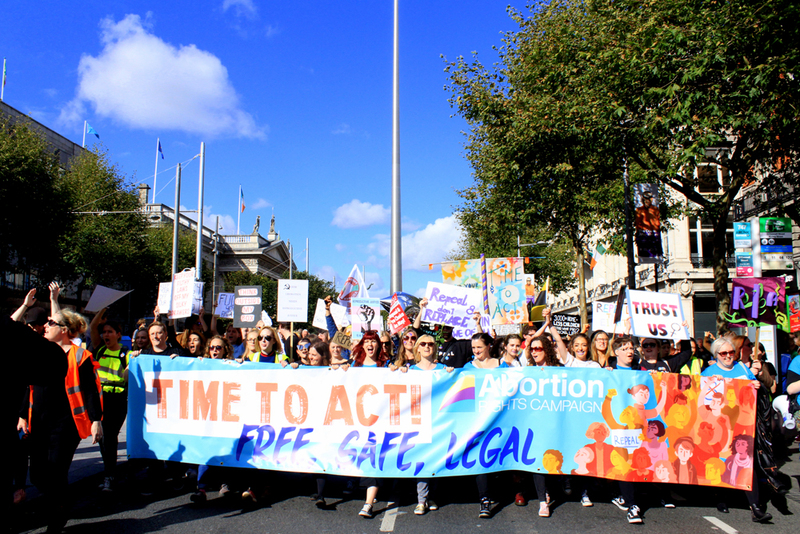 In a letter to the Taoiseach yesterday evening, the Abortion Rights Campaign made clear that repeal simpliciter is the only option that should be put to the people in a referendum. Ms Kavanagh and Ms Lanigan were speaking in advance of a free public information evening on the Eighth Amendment and Healthcare, hosted by ARC on 24 January 7pm in the Ashling Hotel, Dublin and featuring guest speakers from the British Pregnancy Advisory Service, Midwives for Choice, AIMS Ireland and others. I think you need to reconsider this. Straight repeal leaves whatever legislation that might be adopted afterwards open to the risk of constitutional challenge. This risk could be avoided were the President to refer the legislation to the Supreme Court before signing it, nut the outcome is uncertain. It might be safer to replace the 8th with language that authorises/requires the Oireachtas to legislate.